MAKE JAMAICA THE MAGICAL PLACE IT IS. ENJOY IT WITH US. Whether you’re up for an adventure, ready to tie the knot or simply want some rest and relaxation in paradise, Jamaica has the All Right you need. We’re the island of happy days, vivid nights and dreams that come true. 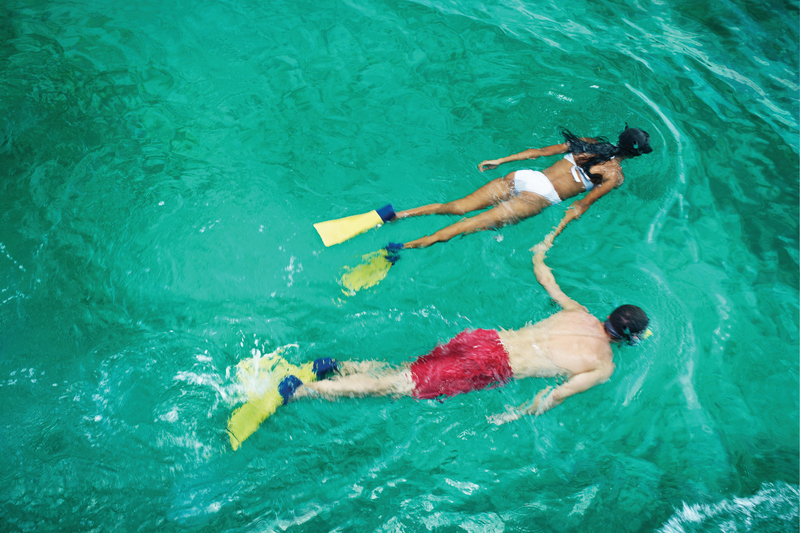 Paradise in Jamaica can be whatever you want it to be – lose yourself in the adventure and take it all in. Get back to nature in the magic of our rainforests, which seem to be as alive as any of the tropical animals that live there. Take your loved ones to hike the Blue Mountains and look at the world through new eyes. Meet our friendly people, try our food and watch the sunset over the Caribbean Sea to the sound of slow reggae rhythms and good times. Four legendary resorts, one guiding philosophy. Romance is effortless when everything is included. From Ocho Rios to Negril, our four oceanfront all-inclusive resorts give you more of everything you love. Whether it's another round of golf, an extra splash of rum, or a longer sunset sail, we love nothing more than going above and beyond to create the ultimate all-inclusive escape. and get $250 resort credit and $200 instant air credit! *Brought to you by the Jamaican Tourist Board, promotions subject to change.